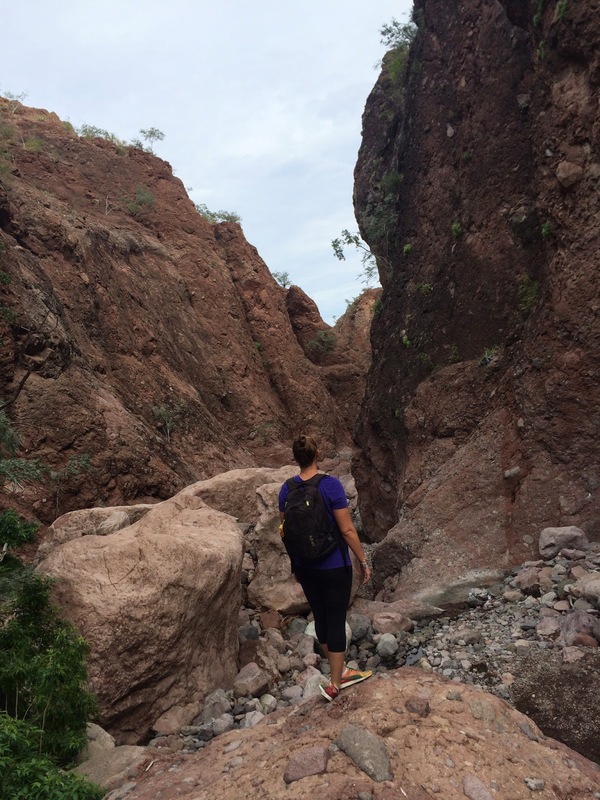 After being in Loreto for a few weeks I was excited to join a group of new friends and finally explore the mountains. We drove south on Mexico 1 to Puerto Escondido, turned off on a dirt road that led to the mouth of Tabor Canyon. Backpack on, water bottle full and grey skies. I was ready for a hike. After we boulder hopped through desert canyon we came to a rock wall. I assumed this was the end of the hike, 20 minutes after we started. The group led on and we ended crawling up the rock wall through narrow vertical tunnels. One misstep and boom broken arm or cracked head. To say the least it was a little terrifying for a few minutes but we survived. Once high above, the view down to the Sea of Cortez and palm filled canyon was superb. Punto Bajo, also known by the local gringos as Doctors Point, is an easy coastal walk along a clearly marked path. Punto Bajo was nicknamed Doctors Point after a doctor built a home out on the point. Although the trailhead is close to Loreto you do need a car to get there. However, if you want to up your street cred you could bike. Just take Davis Street north, as far as it will go. On a cloudy and windy day we walked along the coast looking for whale spouts and collecting seashells. At the point we were able to break out the kites and add a little sky high entertainment. We continued past the point along the beach until returning back with a DIY project in tow (spray painting large shells gold for soap dishes or jewelry holders).